Prof Vishnu Pareek holds a PhD from the University of New South Wales, an MTech from IIT Delhi and BE (Hons) from the University of Rajasthan Jaipur, all in Chemical Engineering and with high distinctions. 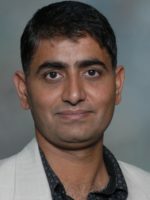 Prof Pareek’s expertise lies in process simulations and design, with a particular emphasis in applying these tools to industrial-scale problems. Currently, he has several active projects in the field of gas processing ranging from designing subsea separators, novel distillation, absorption and heat exchangers to developing new technologies for LNG regasification. He also has interests in developing solutions for broadening of LNG market uptake. Prof Pareek is also currently serving as the Head of School of Chemical and Petroleum Engineering. Prior to this, he had been the Head of Department for Chemical Engineering between 2012-2014.